Discover The Ultimate Training Device For All Sports Coaches & Players Whether you coach a high school, a college or even a pro team, training drills takes up a huge chunk of your coaching tactics . So if you require a tall, stable and eas ily portable obstacle to make sure your players are reaching or surpassing their potential, we've got exactly what you need! Introducing The Pop Up Defender Sports Training Device Does your sport involve a ball? Good. Then, this training obstacle can be of great use to you and your players. Whether it's basketball, football, handball, hockey, baseball, lacrosse or anything similar, you can use the Pop Up Defender in a versatile and manageable manner while moving it around the field or court without exerting yourself or your players. A Precise Practice D rill Tool Used by pro coaches around the world, Pop Up Defender can be utilized for practice drills as well as enhancing your athlete s ' dribbling and passing skills. Standing 3.4 feet tall, it is stable but lightweight at the same time so that you can move it around anyway you prefer. It's also collapsible, which means moving and storing it just became a lot easier! Plus, it's 100% safe when contacted during training and it's 100% stable when it comes to predictable training drills. This means that it will not get kicked around during training like training cones or similar training obstacles . Love It Or Your Money Back! Give our patented training device a try and if you are not entirely thrilled with it for ANY reason, rest assured that it is covered under the umbrella of our 45 - Day, Money - Back Guarantee! - Multisport application - the only limitation to its use in your imagination! 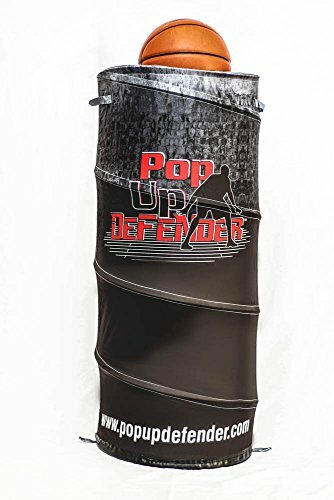 If you have any questions about this product by Pop Up Defender, The Original Ultimate Training Device, contact us by completing and submitting the form below. If you are looking for a specif part number, please include it with your message.